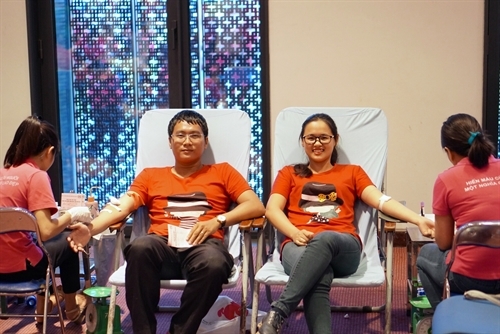 HÀ NỘI — Nearly 3,500 units of blood were collected from thousands of youth and volunteers at the last blood-donation drive of the annual blood-donation campaign Hành trình đỏ (the Red Journey) 2016. The donation drive was organised by National Institute of Haematology and Blood Transfusion in Hà Nội yesterday. The collected blood units have brought the total amount to more than 24,000 units, collected from more than 27 blood-donation events in the past month, across 27 provinces and cities nationwide. Speaking at the event, Politburo member and Chairwoman of the Party Central Committee’s Mass Mobilisation Commission Trương Thị Mai said the campaign had brought hope and life to millions of patients nationwide. Mai also praised the journey’s results and the efforts made by the million donors and volunteers towards the country’s voluntary blood-donation mobilisation movement over the past few years. She added that the campaign had become an important event, contributing to social security and giving the youth and students a chance to do some good for people during the summer. The National Institute of Haematology and Blood Transfusion director, Nguyễn Anh Trí, said the campaign had successfully fulfilled its mission by promoting blood donations, handling the blood-shortage situation and improving the community’s awareness of thalassaemia – a genetic blood disorder that can lead to heart failure and liver problems. 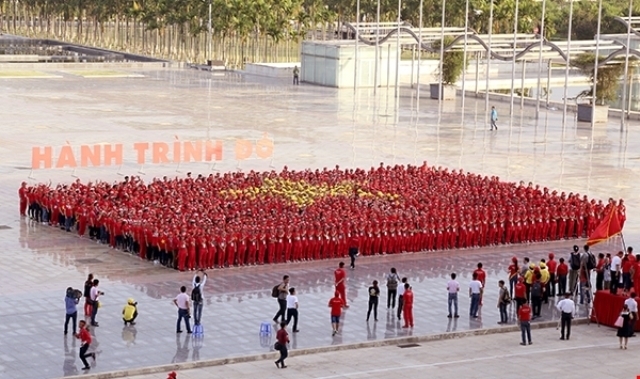 “The Red Journey campaign has become a unique and effective model for voluntary blood-donation mobilisation and communication movement in Việt Nam,” Trí said. “The campaign has seen great contributions towards creating a humane and responsible community, an important milestone in the development of the country’s voluntary blood-donation movement,” Trí said. During the 31-day campaign, 130 outstanding volunteers traveled through 27 provinces and cities nationwide to collect blood and strengthen the message on the importance of donating blood. They also called upon the public to donate blood in a bid to ease current blood shortages at hospitals and raised community awareness of thalassaemia.